This week the British Film Institute released a rather nice online tool that will surely keep you entertained for hours now the nights are drawing in. Or you could use it like I do to confirm all your prejudices about the film industry in the UK. BFI Filmography combines more than a century (it goes back all the way to 1911) of cinema stats with some smart visualisations and surprising facts. It’s a nice way to see the changing faces of British film. For many of us the 90s don’t seem that far away, but when you realise that the most prolific actors in British film during that decade were Sadie Frost and Keith Allen – when did you last see either of them in a movie? – it seems like another era. Did they only shoot British movies in the Groucho Club then? The tool throws up some oddities, too; Muir Mathieson, a man all but forgotten now, turns out to be, by some distance, the person with the most credits in British films (for the uninitiated, as I was, he was a musical director who didn’t compose film scores but commissioned them). Harry Potter has been a character in as many films as Henry VIII, which is surprising when you realise that the boy wizard has only been around for twenty years and the much married monarch has been around for centuries. It’ll come as no surprise that James Bond is the character that has appeared on-screen most often in British films, with characters from the films taking up fully half the names in the top ten most common characters. It goes without saying that 21st Century British cinema has been dominated by James Bond and Harry Potter; even in fiction you can’t quite get away from the privately educated elite running things. Some of the statistics it reveals are quite heartening; in an era when it might feel like every Hollywood film that has a single scene shot here is claimed as British, a whopping 73% of all British films were solely British productions, and only 27% were international co-productions (it will surprise no-one that the US is our biggest partner when it comes to co-productions). We still mostly make our own films, even if the most successful “British” films come with a large dose of Hollywood money. The stats also point to a little rivalry that could be going on at the top of the British acting world. 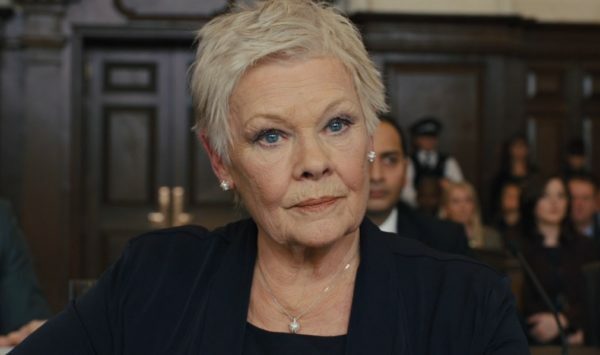 Dame Judi Dench currently has 41 credits in British films, and Dame Maggie Smith is right behind her with 40. One can imagine them screaming down the phone at their agents demanding they get another British film so they come out on top. Or maybe they don’t care. If one of them suddenly starts popping up in every little British film we’ll know how they feel. In amongst all the fun, there is a serious point to the statistics; it sheds light on the serious dearth of women in top jobs in the British film industry – less than 1% of British films have a crew made up of mostly women, and only four and a half percent of British films were directed by women. At the very least, you can bore your friends by firing out useless statistics at them about film instead of just football.